Sidney McQueen flees the most evil man she’s ever known – her husband. Can Markus Yeager, former Marine turned CIA operative, convince her to accept his help when he’s grappling with his own personal demons? 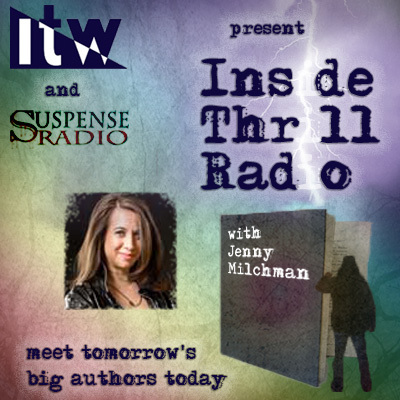 IF THE DEVIL HAD A DOG – an edgy, psychological thriller that keeps you riveted. 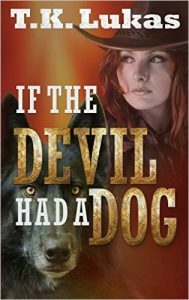 IF THE DEVIL HAD A DOG is available from Amazon. The new suspense/thriller by T.K. Lukas, If the Devil Had a Dog, will touch a lot of people in many ways. Far too many of them, from the most feminine to the hardest of veterans, will be able to closely relate to the distress and anxiety detailed in Lukas’s new novel. Some of the chilling-but-thrilling scenes may leave you wondering how much of what you’re reading is fiction, and how much of it is a shared, terrifying moment in history. However, as if to help you recover from the moment, the next few words might make you laugh out loud, or stop for a bit to consider a thought-provoking idea. If the Devil Had a Dog: full of surprises and highly recommended. T.K. Lukas, a native Texan and award-winning author, writes both contemporary and historical fiction. Her debut novel, Orphan Moon, is a historical fiction based in 1860’s Texas and other western frontier locations. The book, published in 13 countries, found its way onto numerous Amazon Kindle bestseller lists. Additionally, Orphan Moon is a Writers’ League of Texas 2015 Top Five Finalist for Historical Fiction and the recipient of the Readers’ Favorite Five Star Award. It was also picked as a finalist in the Adult Fiction category in The Wishing Shelf Independent Book Awards – 2015. Look for the release of books two and three of the Orphan Moon Trilogy in 2016. T.K.’s second novel, If The Devil Had A Dog, is a contemporary suspense thriller/contemporary romance with a strong female lead and a former Marine turned CIA operative as the lead male character. This novel is also published in numerous countries and was on the Amazon Kindle bestseller list in both the US and Germany in action/adventure and suspense. The lead male character in If The Devil Had A Dog is a U.S. Marine Officer turned CIA operative. While researching this fictional hero, an interview with a real-life retired Marine turned CIA contractor with more than nine years of almost constant combat duty since 9/11, led to a request by him for T.K. to write his biography. Look for this extraordinary story of a true American hero mid-year 2016.